Eighteen years ago, Luc Tuymans took the Venice Biennale by storm with his paintings for the Belgian pavilion that examined the country’s brutal colonial history in the Congo. Now he is back in the city that cemented his reputation as the press-anointed “saviour of painting” with a spectacular and wide-ranging exhibition at the Palazzo Grassi, the French billionaire François Pinault’s gallery on the Grand Canal. More than 80 paintings are on display, two-thirds of which were made recently. The show is entitled La Pelle (skin) after a 1949 novel by the Italian writer Curzio Malaparte that is set in Naples at the tail end of the Second World War when “Europe was in chaos, just like today,” Tuymans says, speaking at the exhibition’s opening on 22 March. 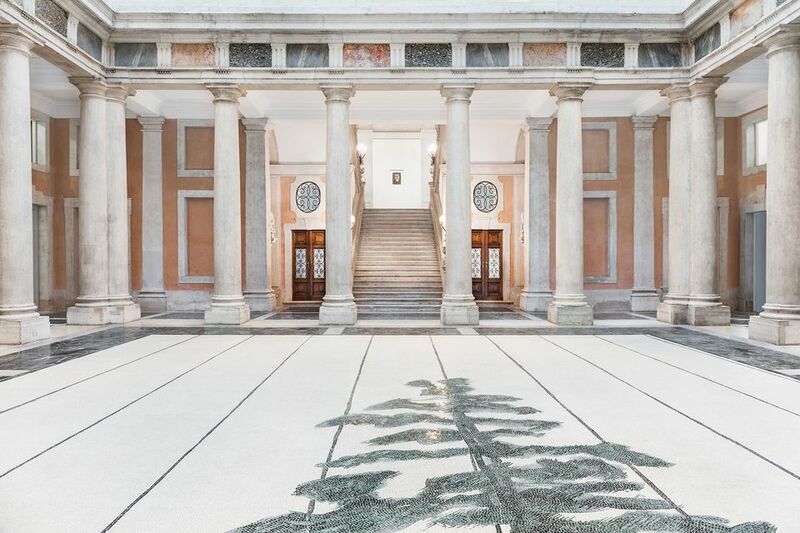 Upon entering the 18th-century palace, visitors first encounter a giant floor mosaic of pine trees with parallel vertical lines interrupting the composition. This is based on a painting Tuymans made outside a German labour camp at Schwarzheide, north of Dresden. During the war, some of the prisoners there made drawings, which they tore into strips to hide them from guards. “The vertical sections on the mosaic represent the strips,” Tuymans explains. Hanging at the top of the first sweep of the palazzo’s grand staircase, a small portrait of Albert Speer, the chief architect of the Nazi party and the Third Reich’s minister of armaments and war production—Secrets (1990)— overlooks the mosaic. But if you think that the juxtaposition of the two works represents the defiance of prisoners in the face of unspeakable evil, think again. “That’s a very optimistic way to look at it,” Tuymans says. The artist has returned to the horrors of Nazism again and again throughout his career; there are 14 paintings on display here that deal with the Third Reich, ranging from a triptych of works exploring how the Nazis profaned their victims’ bodies—one shows a lampshade made out of human skin, another a single tooth—to a painting made last year of the door to Hitler’s bunker, Dead End (2018). This is a dark time, Tuymans says. “People are becoming more and more stupid, insanely stupid. Think of England, it’s no longer an empire although the English still think it is, which is basically insanity. Think about Brexit, about this narcissistic idiot Trump, the whole constellation of the West is in dire straits.” In the face of this, it is important to study not just our history—“people forget, that’s one thing,” Tuymans says—but the way we construct it and misremember it. 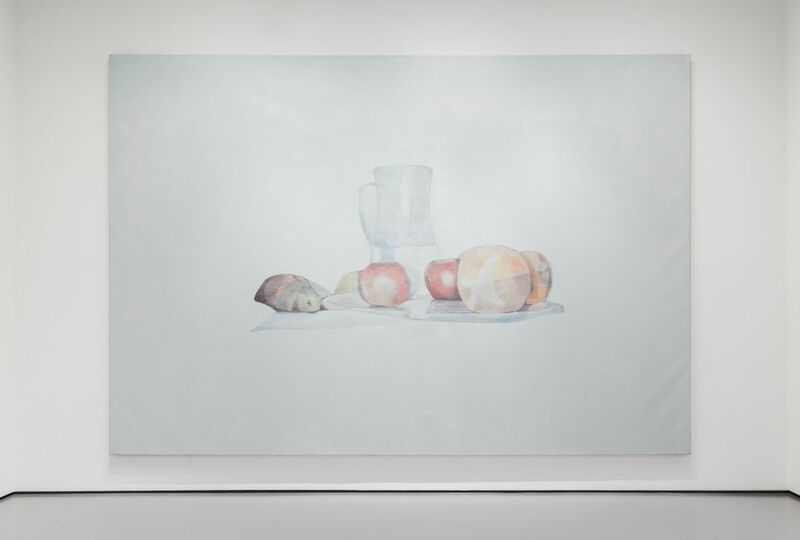 At the heart of Tuymans’s project is a central conceit: that images are unreliable, that they can offer us no more than a fragment of reality and that our own memories, personal or collective, mislead us. 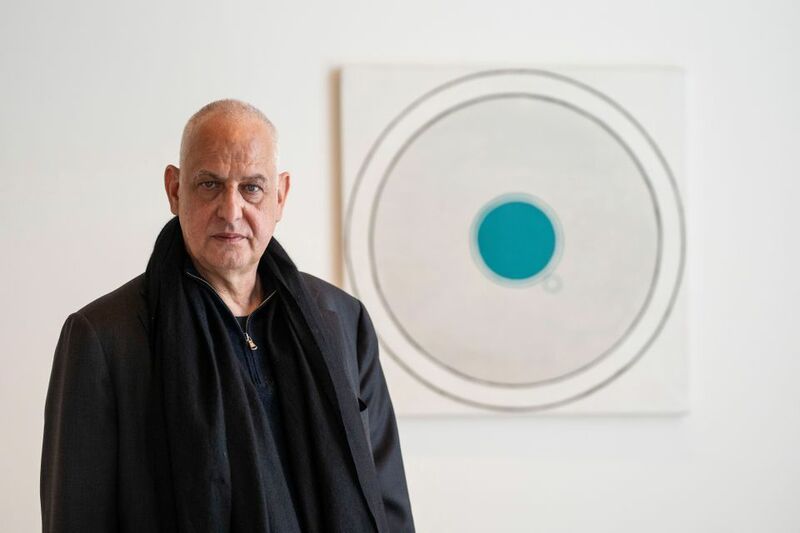 The bleached-out colours Tuymans uses for his canvases, all of which are painted in just one day, “because my attention span doesn’t go further than one day”, recall a faded memory that we are struggling to bring into focus. Many of his works are based on secondary images, a photograph taken from a television screen, for example, distancing us yet further from the idea of objective truth. In addition to the Nazi-related works there are also on display images drawn from Tuymans’s childhood, from popular culture—reality TV shows, Netflix series, viral videos on YouTube, Disney—and paintings of society’s villains such as Issei Sagawa, a Japanese student at the Sorbonne in Paris who killed and then cannibalised a fellow student in 1981. Nazis, murderers, violence, fake news; it is a sinister and bleak world view. Is there any hope? When asked, Tuymans laughs at the question. Despite this reaction, there is one painting on display that stands somewhat apart from the rest: a monumental still life painted in 2002 as a response to 9/11, which was first shown at Documenta 11 In Kassel that year and then at Tate Modern in London and the Metropolitan Museum in New York. “My wife and I were in New York during 9/11. 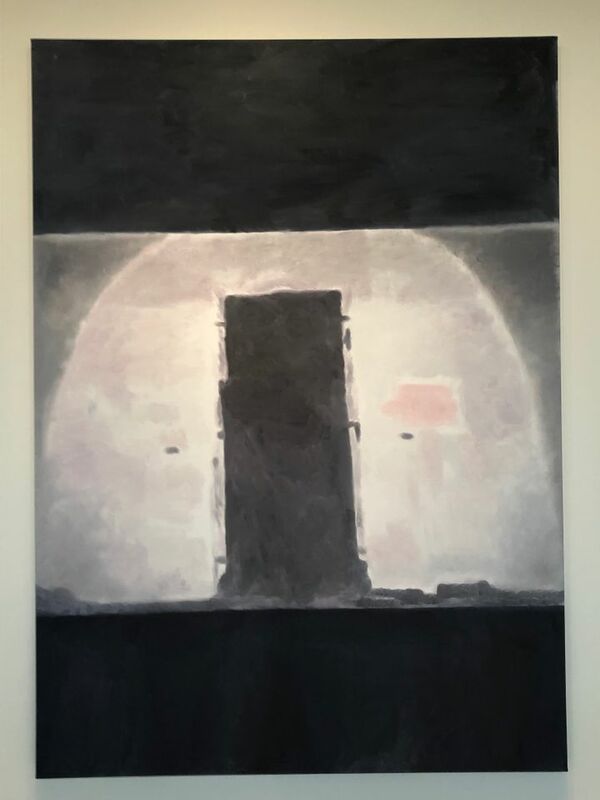 We were in a hotel room… the planes going in [to the towers]… then the people jumping out [of the World Trade Center], it was horrific…” Tuymans says. “So I was trying to think ‘What could be the counterpoint to this? Something idyllic?’ And that’s when I came up with this banal image of this fruit and still life which is the lowest common denominator in [our] painting [tradition]. It is actually quite a political painting.” The canvas, inspired by Cézanne, is a powerful statement: we respond to terrorism by reasserting our values and our cultural and artistic traditions. In the end then, art may help save us. The exhibition is curated by Tuymans and Caroline Bourgeois.